Which of Anne's costumes from 'The Tudors, Season 2' is your favourite? Which of Anne's costumes from 'The Tudors, Season 1' is your favourite? Which of Anne's costumes from 'Anne of the Thousand Days' is your favourite? In which things do toi think Anne Boleyn and Elizabeth Tudor were similar? Do toi think Anne really loved Henry? 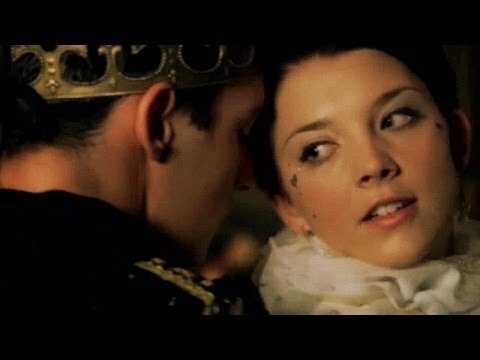 What song do toi think describes Anne Boleyn best? This shall be the last letter I ever write, and I would not see it written to anyone but you, my only daughter. From my window I watch the dusk ebb away, and the sky flare up like a blushing rose; twilight of this new day, my last day, has come. yeah, how long must toi wait for it? yeah, how long must toi pay for it? a comment was made to the poll: Did toi listen Karliene's album "The Ballad of Anne Boleyn" ? a poll a été ajouté: What would toi want for Anne Boleyn to say just before her execution? Anne Boleyn had a secret affair with sir Thomas Wyatt.